American Idol gave America at large yet another Tex-book look at Dallas Wednesday night. Which meant recurring dust-offs of longhorn cattle, cowboy hats, ranch land and "Texas-sized" hyperbole -- all introduced by the theme song from the Dallas TV series. Cosmopolitan? Contemporary? Citified? The two-hour audition show mostly steered clear of that during its latest procession of worthy and transparently terrible contestants. Only one of them, by the way, actually had Dallas listed as a home address. And 24-year-old Angela Reilly isn't going to Hollywood after performing "Baby Love" and then "Hit Me with Your Best Shot" in the company of her professional model husband, who hand-picked them for her. "They say love is deaf, right?" judge Simon Cowell cracked. No, it's blind, colleague Randy Jackson told him. A not-so-grand total of 25 identified hopefuls paraded before the judges. Nine were from out-of-state, including climactic show-stopper Renaldo Lapuz of Reno, Nev. (above), who looked like a Musketeer from Fire Island. The Simon-adoring Lapuz, 44, is 16 years north of Idol's eligible age limit. But he was too good/bad to pass up, and his performance of the supposedly self-written "We're Brothers Forever" had Jackson and judge Paula Abdul dancing along with him while Cowell no doubt correctly predicted, "I have a horrible feeling it's going to be a hit." Also be assured that Lapuz quickly will find his way to Jay Leno's strike-parched Tonight Show among many other venues. Few, save for the actual participants and their families/friends, will remember anything about the two-hour Dallas audition show except him. It all began with host Ryan Seacrest wondering whether Idol's first visit to Dallas had drained the area dry by finding Burleson's Kelly Clarkson and making her the show's inaugural champ. "But is there any more talent?" he wondered. Or is Kelly Clarkson the lone star?" Yep, that's all we got, Bubba. We done shot the wad. Single mom Jessica Brown, 24, of Longview, got to make the first impression. The onetime meth addict supposedly was saved in part by repeated listenings to Season 4 Idol champ Carrie Underwood's hit single "Jesus, Take the Wheel." "She got away for a while, but that's OK. God brought her back," said proud momma Cecelia Fleet before her daughter got a gold ticket to Hollywood, one of 10 bestowed on-camera. All in all, 24 are heading West from the Dallas auditions, compared to 29 from the previous night's doings in Philadelphia. Oak Cliff's Kelton Blackshear, 17, is going to Hollywood, too, but his only exposure came on Fox4's 9 p.m. newscast via reporter Brandon Todd's "Idol Insider" segment, one of many more to come. Todd reported live from a brew house in Arlington, where a crowd had gathered to support 24-year-old Nina Shaw of Burleson, who also was featured on the national Idol telecast. She got her gold ticket despite a "very pageant-like" performance in the words of Abdul. 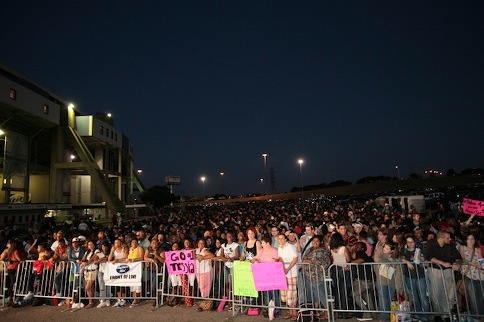 A Texas-sized crowd gathered outside Texas Stadium in "Texas-sized temperatures" for first-round Idol auditions last August. 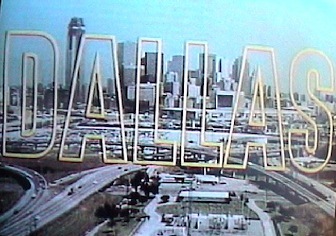 The Dallas auditions bracingly lacked the 'tude and bleeped profanity spewed by the city of Brotherly Love. Poor Paul Stafford, 25, of Crosby, couldn't sing a lick. But even Cowell blurted, "What a nice guy" after Stafford graciously left a judging room set up at The W Hotel a month or so after the initial Texas Stadium "cattle call," as Seacrest put it. Viewers also witnessed the salt-of-the-earth comportment of Saltillo, Miss. farm boy Drew Poppelreiter, who said in a videotaped segment, "My family, they're a hard-workin' buncha rascals." Poppelreiter is going to Hollywood, too, as is Valiant, OK's Kyle Ensley, 21, a bespectacled Buddy Holly lookalike who also plans to run for public office someday. Nice kid. At least it sure seemed so. Runnerup to Reno's Renaldo in the train wreck department was sub-hapless Douglas Davidson, 27, of Austin, of whom Cowell said, "I don't want to hear any more of this stupidity." But Davidson kept singing until two burly Idol security guys escorted him out. Judge Jackson then dubbed Dallas "a weird city." Seacrest later set up another round of songs sung horridly after priming viewers with, "Welcome back to Texas, home of the Wild Wild West, the land of the cowboy, where men are men." Then, of course, came a quick series of high-pitched male singers as well as a guy in a dress. 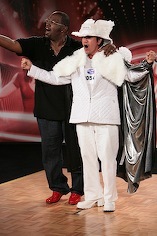 Idol also regaled viewers with a Bastrop, TX teen who's never been kissed at his father's orders and a Lucedale, Miss. weirdo who "peels" off his fingernails and saves them in a cellophane bag. "I don't know how to react," Seacrest riffed. "Part of me is sick, part of me is scared." It should be noted that all of this and more seemed to share almost equal time with a series of elongated commercial breaks. Stopwatch technology here at unclebarky.com central says that the breaks consumed 37 minutes, 35 seconds of Idol's two-hour block. And that's not counting several minutes of in-show teases. In a strike-ravaged season, networks will milk a hot show for all it's worth. And sponsor demand is still sky high for Idol despite a modest downturn in ratings for Tuesday's seventh season opener. Now it's on to auditions in San Diego after America again learned ad nauseum that "EVERYTHING'S BIGGER IN TEXAS!!!" So until next time, yee-haw. Sigh.